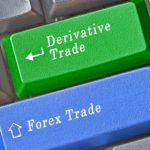 Similar to other major financial markets, the forex market also has several active derivatives markets that use forex currency pairs as an underlying asset. Derivatives are valued using a pricing model from a variety of market derived parameters. Within the foreign exchange market, perhaps the largest and oldest of these derivative classes are variously known as FX, forex or currency options. These options trade actively in the Over the Counter or OTC market, as well as on certain futures and stock exchanges. FX options trading is even increasingly becoming available to retail traders via online trading outlets. The currency option market even has its own over the counter brokers that are distinct from the typical forex market brokers. The FX Options market produces a large daily turnover making it one of the most liquid derivatives markets in the world. In general, currency options are financial contracts that confer the right but not the obligation for the buyer to exchange a specified amount of one currency for another at a specified exchange rate known as the strike price. The buyer of a forex option pays the seller a price or premium in order to obtain this right. If the option buyer wants to exercise their currency option, they must do so on or before the last date of the contract’s existence, which is also known as the option’s expiration date. At the point of exercise, the stated exchange of currencies at the strike price must then take place on the contract’s specified settlement date, which is usually the spot delivery date on the date of the option’s exercise. For currency futures options contracts, the settlement date will be that of the underlying futures contract. Options that have a strike price better than the prevailing exchange rate for the specified delivery date are said to be In the Money. Those with a strike price the same as the prevailing spot exchange rate are said to be At the Money Spot, while those with a strike price set at the prevailing forward rate are said to be At the Money Forward. FX options struck at an exchange rate worse than the prevailing forward rate are termed Out of the Money. Since FX options are options on an exchange rate, regular or vanilla currency options generally involve the buying of one currency and the selling of another currency. The currency that can be bought if the option is exercised is known as the call currency, while the currency that can be sold is known as the put currency. In addition, currency options contracts typically specify a style for their exercise ability. This stated style can be either American Style, which implies that the option can be exercised at any date prior to its expiration date, or European Style, which signifies that the option can only be exercised on its expiration date by a certain time. Currency options can be purchased to be used like an insurance policy to protect or hedge an existing or anticipated forex position. In this case, the option’s premium is paid to ensure execution of that forex position at the option’s strike price. In addition, currency options can be sold against an existing forex position to provide additional income that increases the position’s breakeven rate. This is analogous to the covered write strategy used by some stock holders. For example, a trader who is long the GBP/USD currency pair might sell an out of the money GBP Call/USD Put to limit their profits at the level of the strike price while improving their breakeven if the market were to decline. Forex options trading can also be used to combine options into a variety of strategies that can be used to take strategic positions in the forex market based on a specific market view, to hedge positions against possible adverse movements and to increase yield. Currency options can also be used to take bets on the degree of movement anticipated in the underlying forex market. Since a parameter called implied volatility is used to price currency options that reflects the degree of fluctuations anticipated in the market, their value tends to rise and fall depending on the level of that market determined quantity. 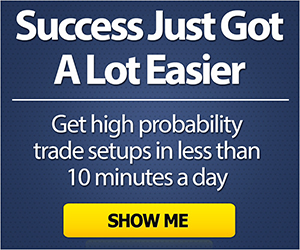 This allows professional forex option traders to take views on and trade implied volatility. In addition to having their prices determined by supply and demand on exchanges like the Chicago IMM and PHLX exchanges, currency options can be theoretically priced using a modified mathematical pricing model based on the traditional Black Scholes option pricing model that had been developed to price stock options. This pricing model for currency options is known as the Garman Kohlhagen model after researchers named Garman and Kohlhagen modified the Black Scholes model in 1983 to take into account the relative interest rates on each of the two currencies involved in a currency pair. Call Currency – The currency in the currency pair that the option will grant the right to purchase to the buyer. Put Currency – The currency in the currency pair that the option will grant the right to sell to the buyer. Strike Price – The rate at which the two currencies in the underlying currency pair are to be exchanged if the option is exercised. Expiration Date – The only day on which this option can be exercised since it is a European Style option. Spot Rate – The prevailing exchange rate for the underlying currency pair. Spot Delivery Date – The date on which the underlying currencies will be exchanged if the option is exercised. Forward Rate – The prevailing forward exchange rate for the underlying currency pair for the option’s delivery or settlement date. Option Delivery or Settlement Date – the date on which the underlying currencies will be exchanged if the option is exercised. Implied Volatility – The market determined level of implied volatility for the underlying currency pair and for the specified tenor of the option. Entering the above information into a computer program coded with the Garman Kohlhagen pricing model will then result in a price, which is often expressed in practice as a percentage of the base currency amount in the over the counter market. On exchanges like the Chicago IMM, the quoted price might be expressed in U.S. points per currency amount so that the premium for the option will typically be paid in U.S. Dollars. In order to execute a transaction, the amount of one currency will need to be specified to the market maker. This will allow the correct computation of the premium, which is the amount expressed in either of the option’s currencies that the buyer will need to deliver to the seller in order to purchase this currency option contract. European and American Style currency options have two components to their value. The first part is known as intrinsic value, and it represents the favorable difference, if any, between the option’s strike price and the prevailing forward exchange rate to the option’s delivery date. Options that are deep in the money, with low implied volatility levels and are close to expiration tend to have their prices made up almost exclusively of intrinsic value. The second part of an option’s price is known as extrinsic value, and it comprises all the remaining portion of the option’s current market price. Options that have a high implied volatility, a long time remaining until expiration and strike prices situated at the money tend to have the highest extrinsic value. The time component of extrinsic value is often referred to as time value. American Style options on the higher interest rate currency tend to have a slightly higher time value than the otherwise identical European Style options, as the following section will explain in greater detail. American style options can be exercised at any time prior to expiration, so their pricing requires a modification to this pricing model that has been incorporated into the so-called Binomial Model typically used to price this style of option. The inputs used to price American Style currency options are the same as those listed above for European Style currency options, but the pricing of such options needs to take into account the possible modest advantage of early exercise to the buyer. In practice, this means that American Style forex options are generally similar in price to but no cheaper than European Style options. The difference between the often higher price of an American Style option when compared to that of the European Style option with otherwise identical parameters is sometimes known as the Ameriplus among currency option traders. Since the early exercise of an American Style option will eliminate all time value remaining in that option — which can be a substantial amount of its value — such options are generally only exercised early if they are deep in the money call options on the higher interest rate currency. Furthermore, to justify early exercise, the American Style option needs to be in the money to such an extent that the positive carry on the underlying position to the option’s maximum delivery date currently exceeds the option’s presently existing time value. If that is not the case, it is typically more advantageous to simply sell back such American Style options to capture both the time and intrinsic value, rather than to exercise them early and lose all of the remaining time value as a result. Many of those actively involved in trading currency options analyze their option positions graphically by plotting the option’s yield, which is also known as a payout or payoff, as a function of the spot rate at expiration. This graphic takes a series of well known forms that depend on the option strategy employed by the trader. As an example, the following chart shows the payoff profile of a position of 10,000,000 Euros of a EUR Call/USD Put option with a strike price of 1.1000 that cost a premium of $100,000 over a range of possible spot rates at expiration varying from 1.0000 to 1.2000. Figure #1: Graphical option payoff profile of a 1.1000 Euro Call/U.S. Dollar Put with a notional amount of 10,000,000 Euros that cost $100,000 when viewed over a 1.0000 to 1.2000 spot range at expiration. When analyzing a graphical payoff profile like this, the first thing to note is the flat line to the left that reflect the limited downside risk of the Euro Call option if the spot rate were to end up below the strike price at expiration. In this case, the option would expire worthless, it would not be exercised and the trader would simply be out the $100,000 in premium that they paid for the option. Secondly, note the kink in the option payoff profile at the option’s strike price of 1.1000. This sudden change in slope at the strike price reflects the fact that the option will start to appreciate in value as the Euro rises versus the U.S. Dollar once the spot rate at expiration rises above the option’s strike price. Finally, note that the line extending from the kink at the strike price continues in an unlimited fashion as the EUR/USD spot rate rises at expiration. This reflects the unlimited profit potential of a long option position, since gains on a Call option position will increase in a linear way with the spot rate once it is above the strike price. Conversely, a Put option will show unlimited profits accruing on a decline in the spot rate below the strike price at expiration. Furthermore, the slope of this increase will depend on the size of the position taken. The Over the Counter market for currency options operates among large financial institutions and their clients. Trading forex options typically takes place over the telephone or on electronic dealing systems between clients of the financial institution and the dealing desk and market makers working at the financial institution. Dealing desk clients might be looking to hedge corporate exposures if they represent a corporate interest or they might be looking to take speculative positions in a currency pair using forex options if they work for a hedge fund, for example. In addition, specialized forex option brokers will quote levels of implied volatility and the delta level or strike of currency option interests that reflect their degree of moneyness for the option. This allows currency options market makers to provide efficient quotes. 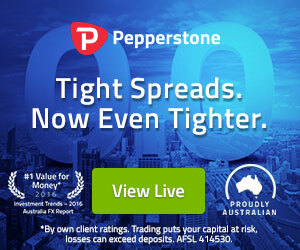 Once the implied volatility and delta level or strike price of an option transaction is agreed upon with the broker, the OTC forex option broker is able to put the buyer and seller together if sufficient credit lines exist between the potential counterparties to handle the size of the transaction. In general, professional market makers operating in the OTC FX market will typically require that a client coming through their dealing desk have an option interest that exceeds $1,000,000 in its notional amount, while an OTC FX options broker would typically only look to assist with option transactions that have notional amounts greater than $5,000,000. If you do not qualify for or prefer not to trade in the OTC market, learning about how to trade currency options thru other channels may require some research. For those that prefer the relative pricing transparency of transacting derivatives via an exchange, several major exchanges provide liquidity in moderate dealing amounts for traders to execute currency option transactions. To begin with, forex options can be traded on futures exchanges like the Chicago International Monetary Market or IMM. These forex options are options on currency futures contracts, so the underlying asset is not a spot transaction like in the OTC market, but typically a futures contract. These contracts usually have standardized quarterly delivery dates, such as March, June, September and December. In addition, certain stock exchanges also offer currency options. The best example is the Philadelphia Stock Exchange or PHLX that offers a set of standardized forex option contracts with quarterly delivery dates that deliver into spot, rather than futures contracts. A relatively recent trading choice that has expanded currency option availability to the retail market has been the advent of online forex option brokers. These brokers typically either make markets in traditional European and American style options like their counterparts in the OTC currency option market, or they offer exotic currency options like binary options to their clients looking to use them to speculate on currency pair movements.